Cracking evening on the harbour. There was plenty of maritime and aquatic activity this evening. Jim Clark had moved the Athena again, there were two smaller yet no less attractive boats moored in Campbell Cove, there were shirtless blokes getting burnt in tinnies off Wedding Cake, a tug was dragging a pontoon through the heads, the exclusion zone was being established off Clifton Gardens and there were fish in the harbour. 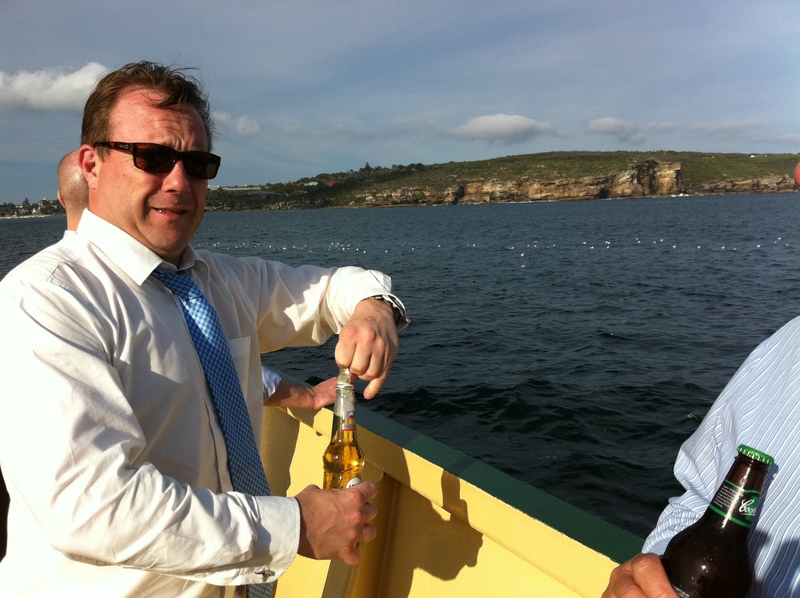 This last observation didn’t come from this author but two old salty BotF members that were on board who had been fishing on the harbour the day before. As you can see from the 3rd photo – plenty of gulls means plenty of fish. Charlie and Tom were beside themselves. 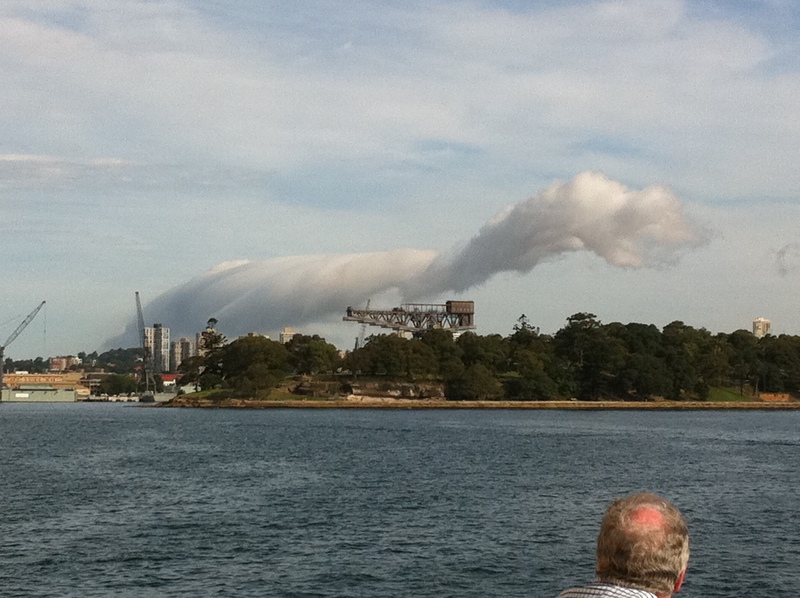 The sky was also giving us a show with a remarkable cloud formation over the Eastern Suburbs. It looked like a Brontosaurus at one stage and added to what was already a great voyage. 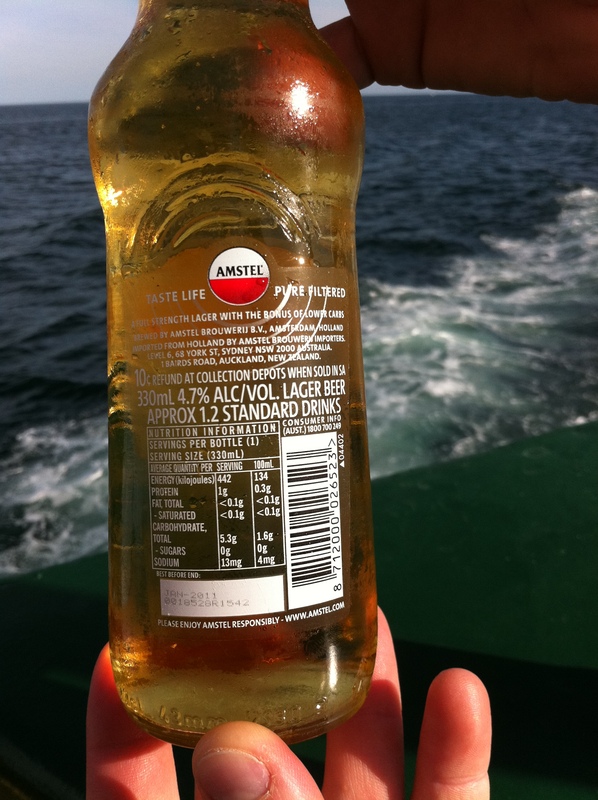 Today’s hitherto untried beer was Amstel Bier. This insipid European bevvy used to brewed in Amsterdam, but has subsequently been moved to Zoeterwoude, where Amstel’s owner – Heineken is brewed. 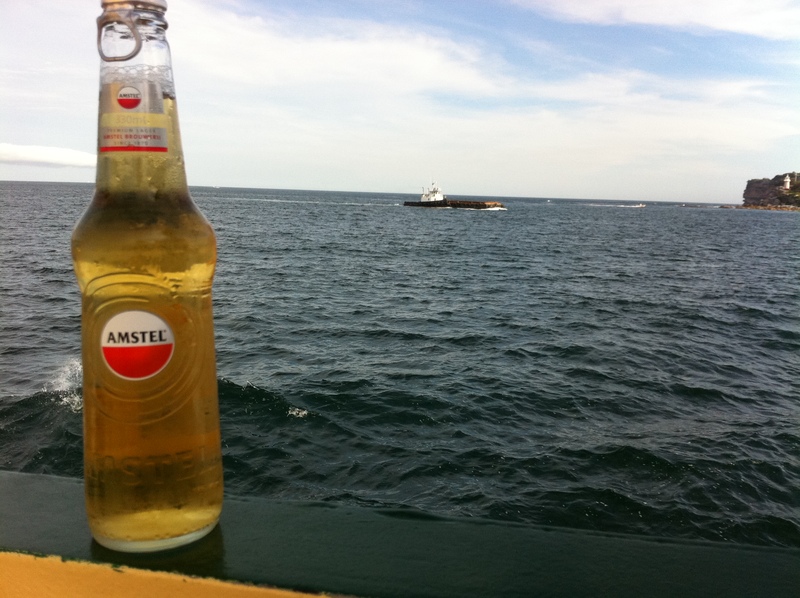 Amstel is named after the Amstel River which flows through Amsterdam. Apparently Amsterdam used to be called “Amstelredam”, but even the Dutch have trouble pronouncing some names even though they have produced a centre-forward called Jan Vennegoor of Hesselink. There was a vague taste of honey in this beer, but really it was one of the blandest beers BotF has tried. The most distinctive thing about it is the ring pull. Merry Christmas to all at BotF. Looking forward to 2011 and many more tales and reviews.